USEF Vaccination Requirement - All horses entering the show grounds must be accompanied by documentation of Equine Influenza Virus and Equine Herpes Virus (Rhinopneumonitis) vaccinations within six months. USEF requires all horses competing in hunter/jumper sanctioned events to be microchipped. Sanctioned events restricted by breed do not have to comply with this rule. Microchipping: Microchips are now required for horses newly registered with the FEI. All horses may be microchipped. The procedure is simple and permanent and provides foolproof identification for any horse. It is essential for the identification of horses following natural disasters. Please ask for more details. 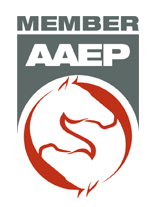 2019 Connecticut Equine Practice, LLC. All rights reserved.